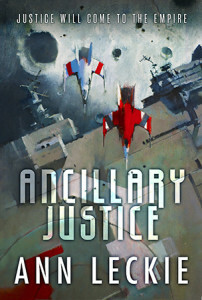 Ancillary Justice is a debut novel, so the blurb on the back says, of Ann Leckie, which then marks her out as a bold, new voice in science fiction. I’m not sure I’d go that far, but it’s certainly one of those books that you sit, read, drink tea and think, ‘nah, this isn’t much good’, but you still read to the end. Its pace is deceptively slow as it keeps kicking up interesting moments and then developing them in ways, some of which are expected, others unexpected. You get the usual buddy type character who’s the complete opposite of the main character, who herself is unsure why she bothered saving her life. But you also get the unexpected in the deaths halfway through the book at a shrine. At times, I found myself thinking I’ll stop at the end of the chapter, but carried on reading past midnight, which to my mind is always a good sign. Its ending sets it up for another book if this becomes a series, but it also completes the tale for the characters in it. 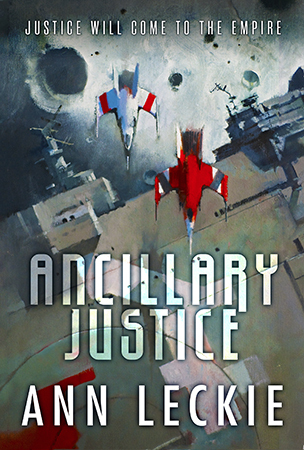 The lead character is Breq, a human robot who was once part of a spaceship and now operates alone, determined to seek justice for a past crime, an act that we only discover halfway through the book. The connection between the victim of that act and Breq is slowly revealed throughout the first part of the story and is still not what you expect. One part of the story that continually threw me was the gender of the people. Nearly everyone is given the same title of she, yet they are also referred to as he sometimes. It’s the only part of the book that I had trouble with as it was only explained several chapters in… unless I missed a bit early on. Breq starts out on a planet that has echoes of the old west and certain has aspects of clichéd hillbilly areas. But they underestimate her badly and suffer accordingly. She’s trying to find someone who holds the key to the justice she is seeking, one of a few weapons that cannot be located by any scanner known to her civilisation. The leader of this civilisation has multiple personalities… literally. She’s cloned herself many times and all of them run certain aspects of the empire. The trouble is that some of her are rebelling against her other selves as they are not clones in the conventional sense but real copies with their own souls. It truly is a danger from within. 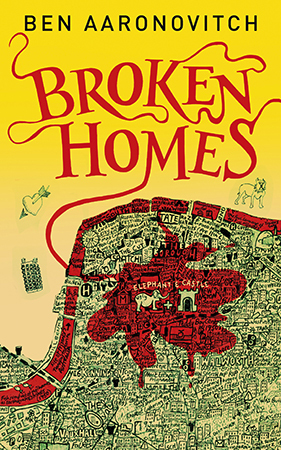 The story builds up to a wholly believable and very good crescendo at the end. Which is where I had my only problem with the book. The ending was hurried. After taking so much time to build the story over 300+ pages, the end is told is less than 30. I may just be picky here, but to me, I would have enjoyed it far more had more time been taken over telling the end. That said, it’s the only part of the book I could in any way criticise and more than likely irrelevant to most readers of this review. But at least you know. If you take the time out to read this book you won’t be disappointed and it will be time well spent.